The location right next to Kennedy Park is super convenient to explore Miraflores and also if you use the Airport Bus to get into the city. The facilities were OK, but I did not meet so many people. To be fair I only stayed one night :) The staff was very welcoming. 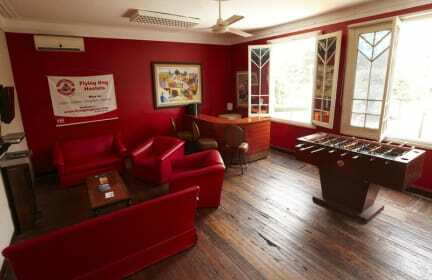 I stayed three nights at the flying dog Hostel. 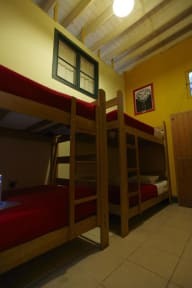 I booked a dorm but after the first night i´ ve got a free upgrade for a private room. The staff was really helpful and helped me with every question I had. There weren't to many other travellers there at the moment, but the parque de Kenndy is right out the door, where you can meet a lot of people. Sehr guter Supermarkt ist gleich um die Ecke dort kann man auch busfahrscheine kaufen. Located in the center of Miraflores, close to everything you need. Staff was very friendly. Unfortunatelly the kitchen was very dirty, had to wash plates and cutlery before using it. There was only one toilet / shower for girls and one for boys, which didn't seem to be cleaned. It's ok for one night, but not really worth the money.